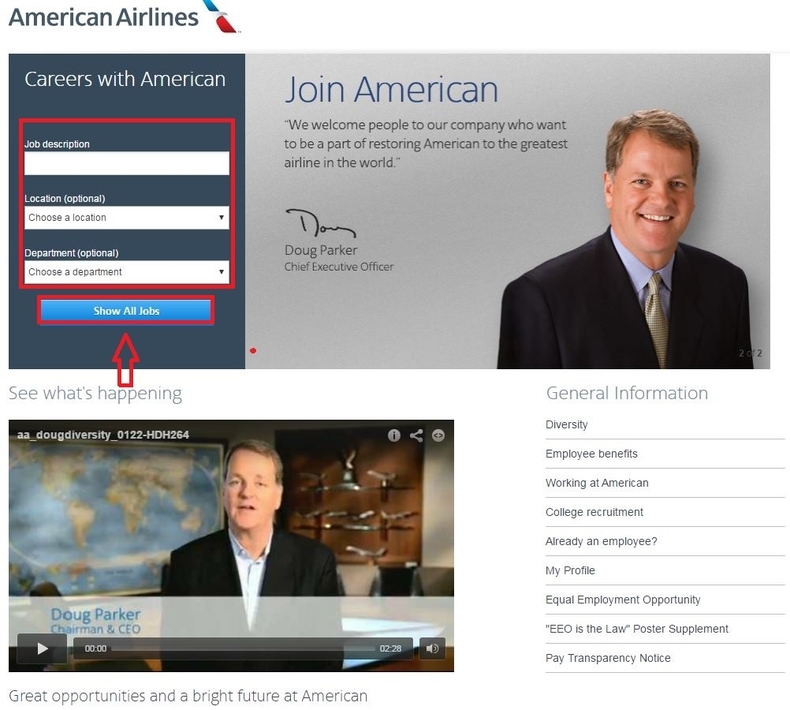 Go to the US Airways careers page at careers.aa.com or aa.com/careers to find current job openings. 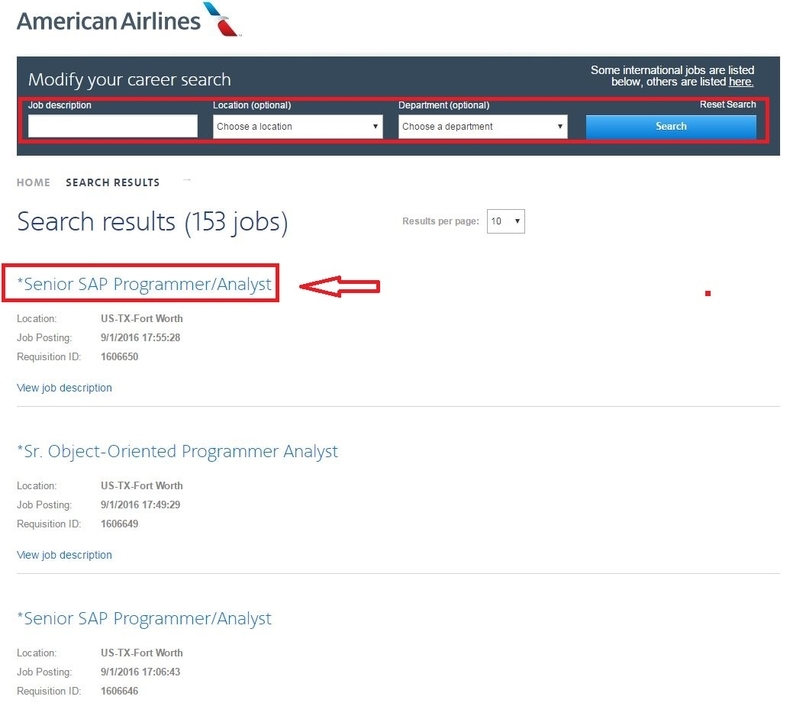 On the left side of the careers page, you will see a search bar. Enter the key words of job description, location or department and click the button "Show All Jobs" to go to the second step. 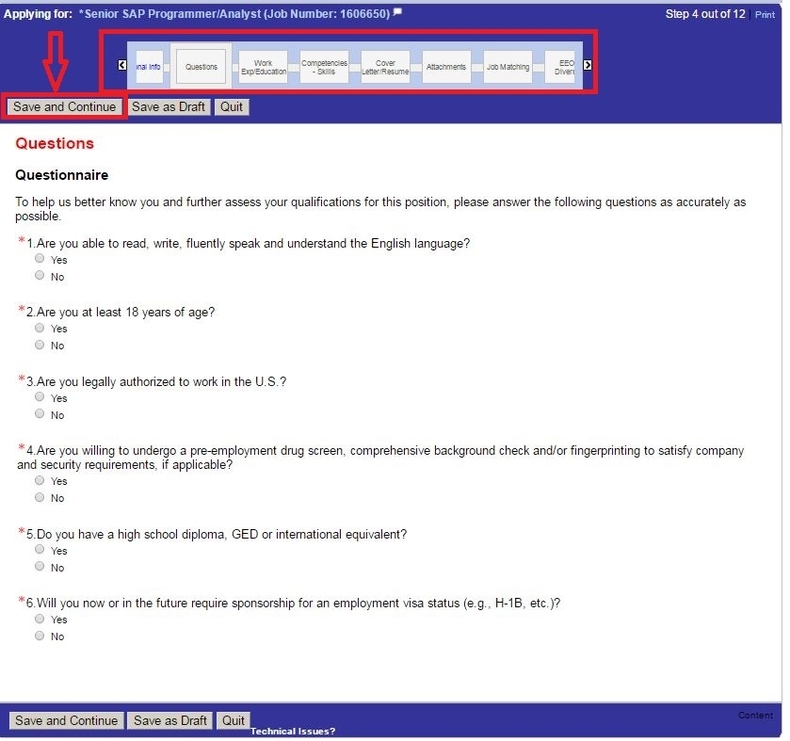 Upon the clicking in the first step, you will be given a search results page where all job vacancies are listed. 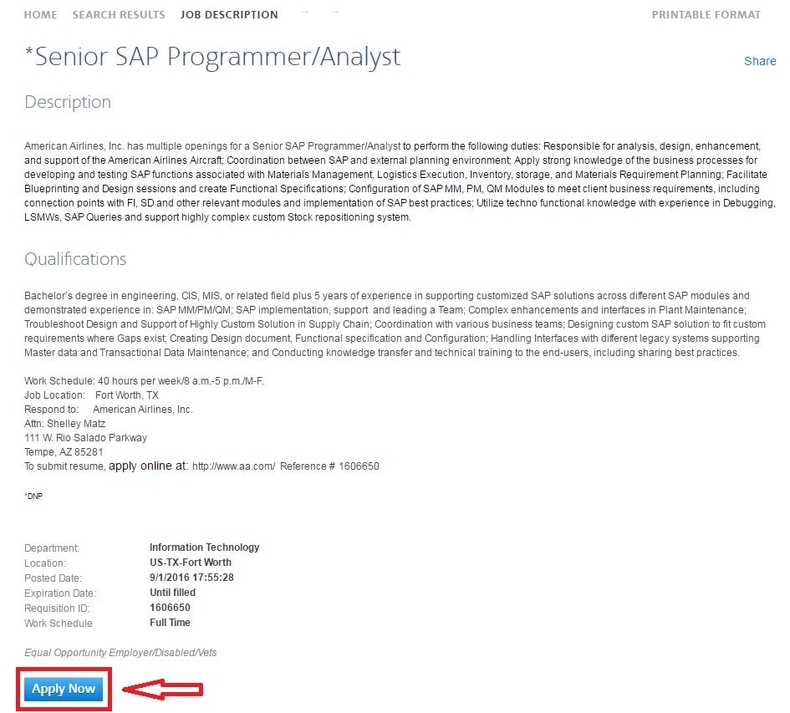 Select an ideal position and apply for it by clicking the job title. After choosing the position, you will go to a job description page. Browse this page carefully as it provides qualifications and requirements of the job you chose in a detailed way. If you make your decision to apply for it, click the button "Apply Now". 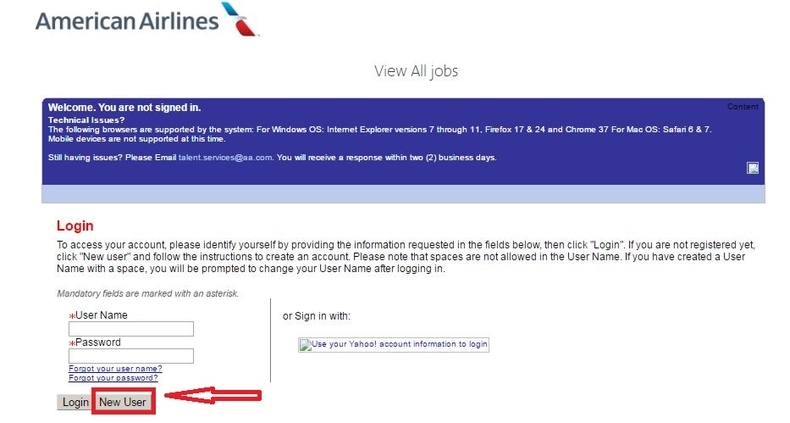 You can log in with your previous US Airways account or sign in with your Yahoo account. And if you don't have one, you need to create a new user account in this step. Click the button "New User" and you will be given a new page which requires you to provide your email address and create a user name and password. 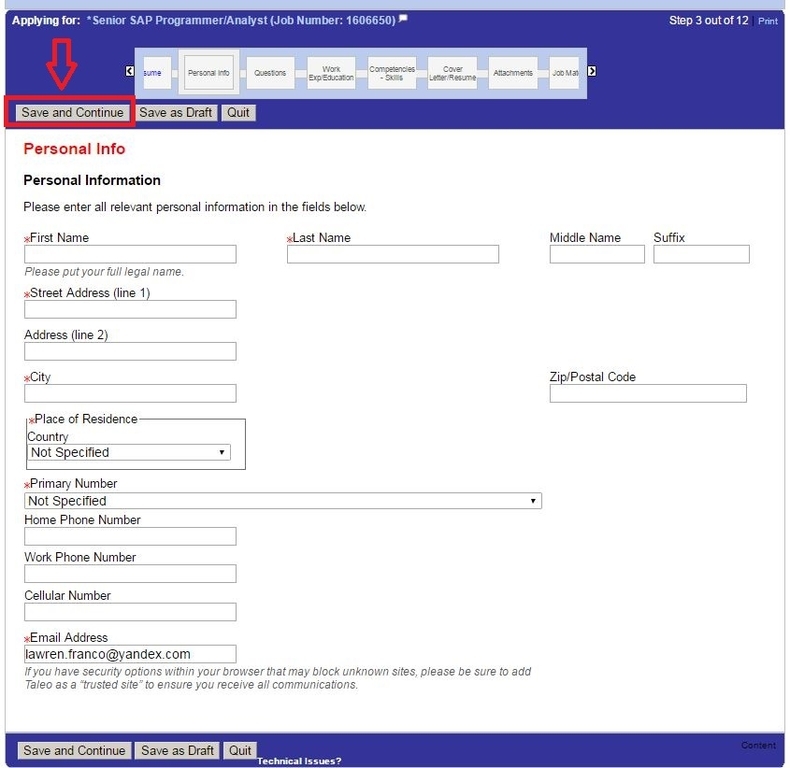 With all the required fields marked with asterisk are filled out, you can click "Register" to get your account created. 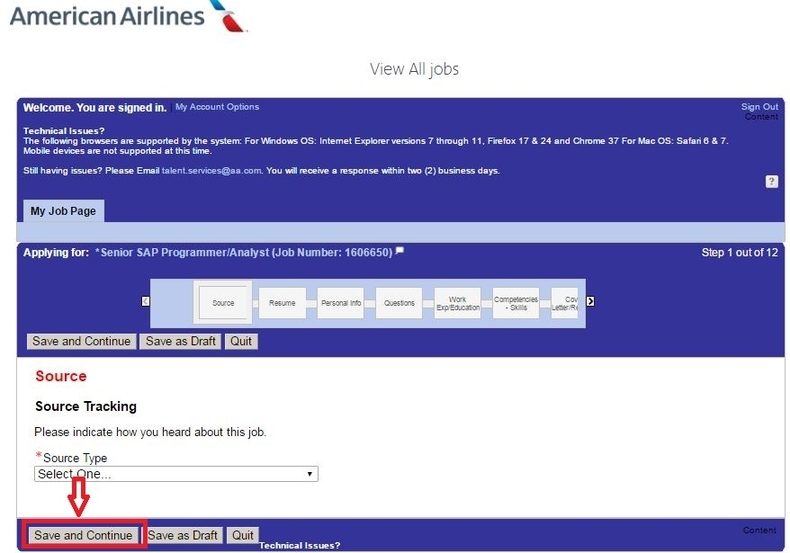 To help US Airways finish the source tracking, you need to specify where did you hear about the position you chose, after which click "Save and Continue" to move on. 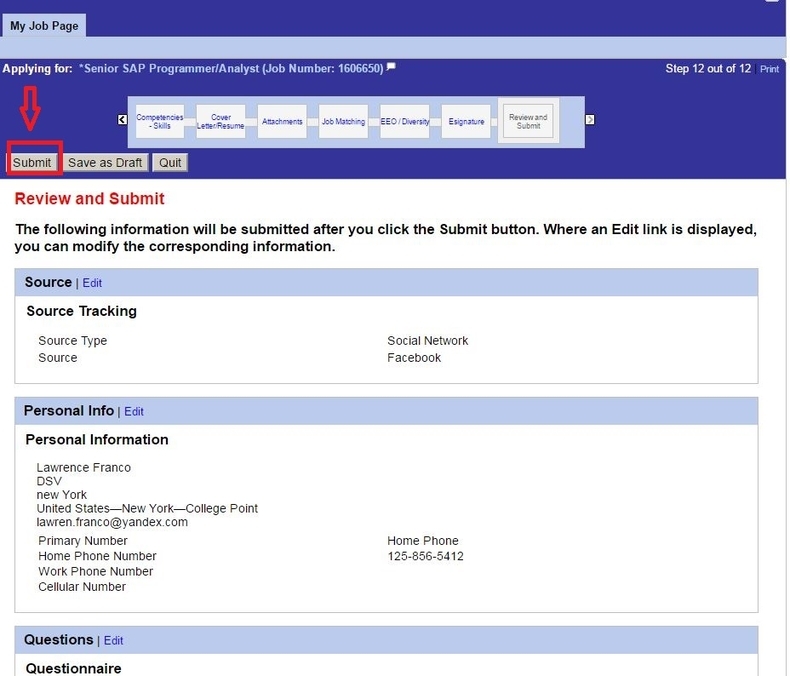 Choose a profile from your computer and click "Save and Continue", upon which the system will automatically extract the relevant information to fill part of your online application profile. You are required to provide your basic information in this step. Here your name, address, city, place of residence, primary number and email address are included. After filling out, click the button "Save and Continue" to go forward. There are 8 more steps to be finished. 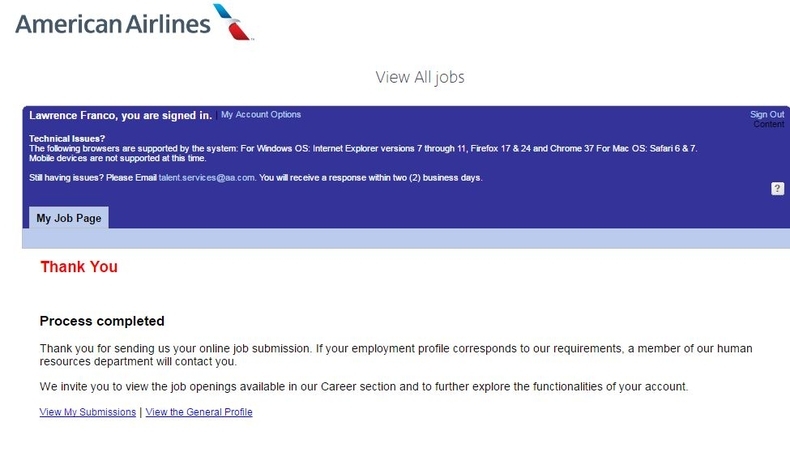 You have to first and foremost answer six questions related to the position to make US Airways know more about your qualifications. Then you are required to provide your work experience, competencies/skills, cover letter or CV, attachments, job matching preferences, EEO or diversity questions and e-signature. Once each step is done, click the button "Save and Continue" and the according part in the progress bar will turn into blue. After finishing all the steps above, you will enter a review page. Check the information you've provided carefully and click "Submit" if there's no problem. With the nine steps above are done, you've got the whole application process totally completed. You can choose to view your submissions or view your general profile by clicking the blue letters accordingly. 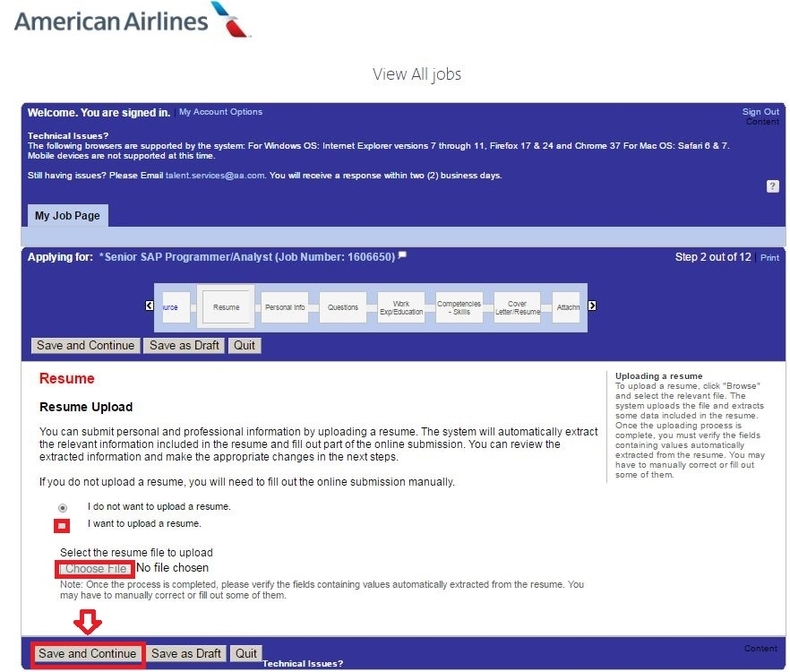 Click careers.aa.com to apply for US Airways jobs online.